People Get Ready’s self-titled EP has been described by some as "a funky Twin Peaks" or as "a romp in the garden of strange delights". Four tracks encompassing some of the compositions from the original piece debuted at The Kitchen as part its series 'Dance and Process', and others unique to the EP. 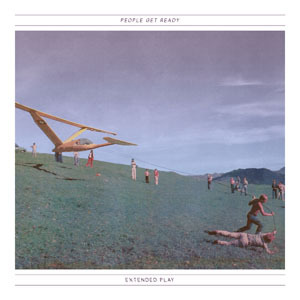 People Get Ready EP will be followed by an LP of additional material in late spring / early summer 2012.